Snowed In: Sam and Lincoln by Shawn Lane is now available! Every year, Lincoln Willets arranges a buddy trip for his old friends from high school, and he’s always especially thrilled when Sam Stryker can participate. All of Lincoln’s old friends are successful, but Sam is a star. Literally a celebrity who has made a career starring in blockbuster movies. Lincoln isn’t starstruck, but back in high school he had a thing for Sam. He never acted on it, for number of reasons, but mostly because he assumed Sam was straight. And nothing leading up to their trip in Mammoth has clued him in otherwise. 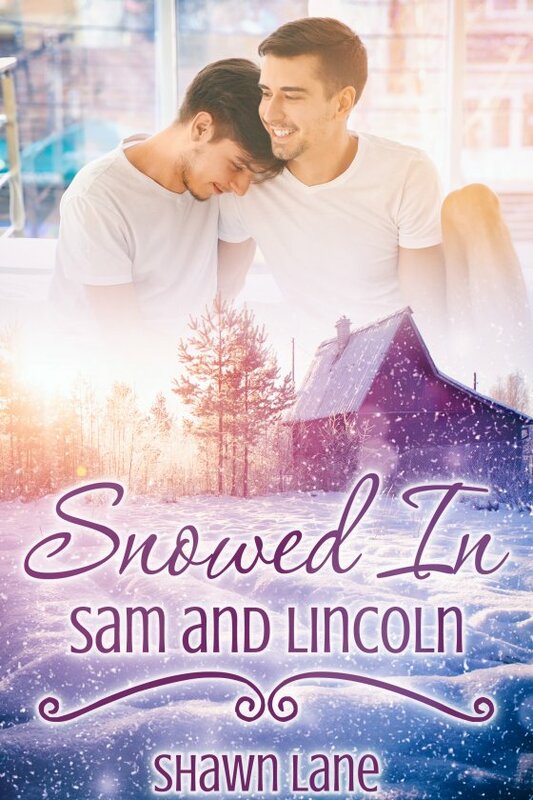 As his other friends leave the cabin in Mammoth just ahead of a storm that promises to close the roads, Lincoln stays behind with Sam, who had a rough night drinking. By the time Sam emerges, the snowstorm has hit and the roads are closed, stranding Lincoln and Sam for the next couple of days. The time alone together turns out to be an eye-opening experience for Lincoln. Sam is not all that straight and just as attracted to Lincoln as Lincoln is to him.